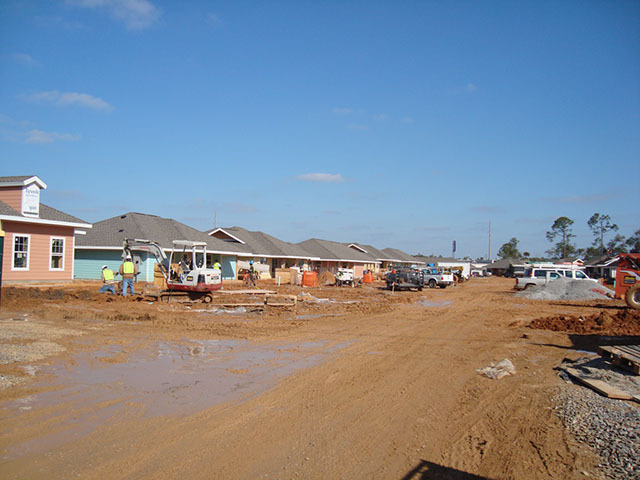 When Hurricane Katrina roared ashore in 2005, the city of Waveland, Miss., was decimated. Among the casualties was the Bay-Waveland Housing Authority, which was left without housing for 700 children, adults and senior citizens in need of affordable housing. 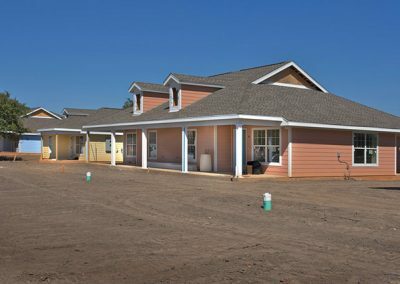 Oak Haven Development was built to remedy this situation. 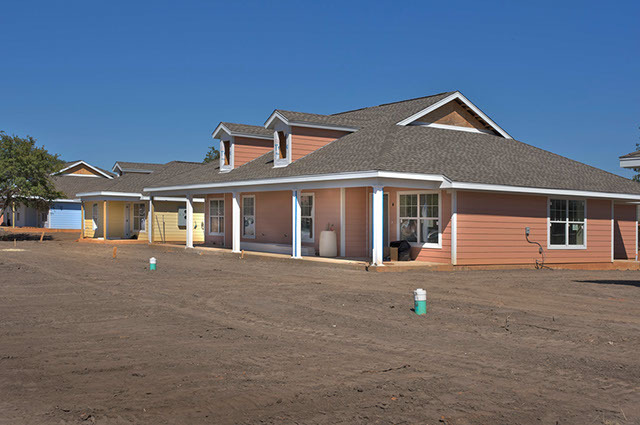 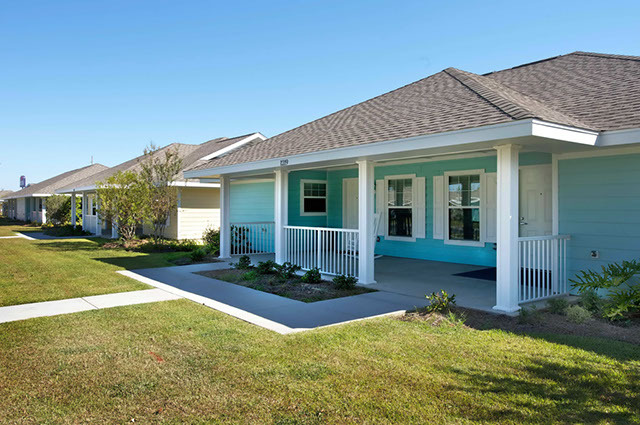 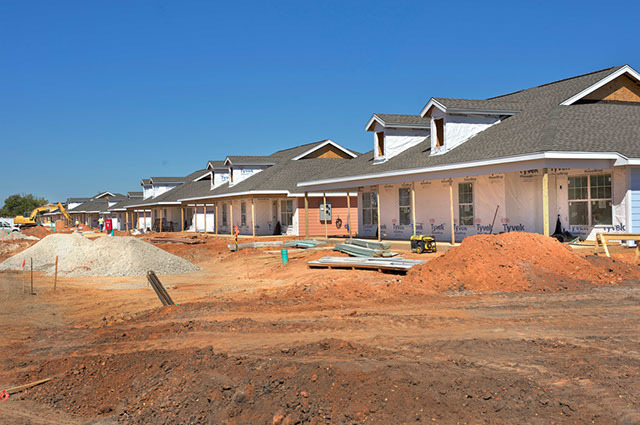 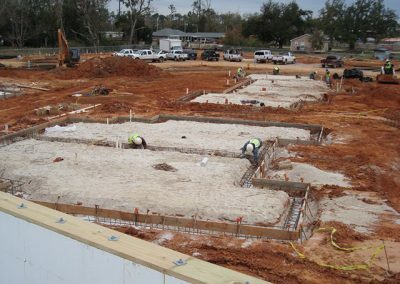 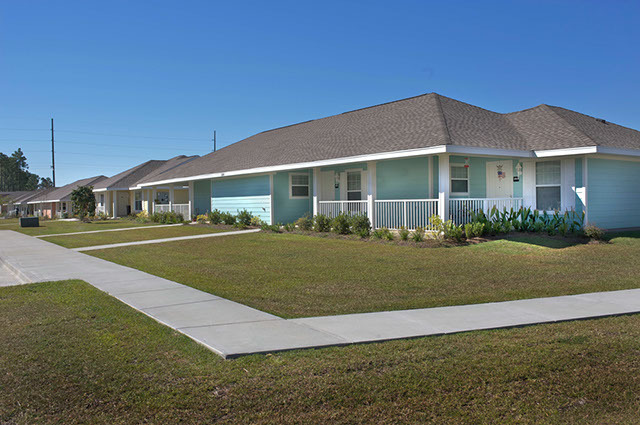 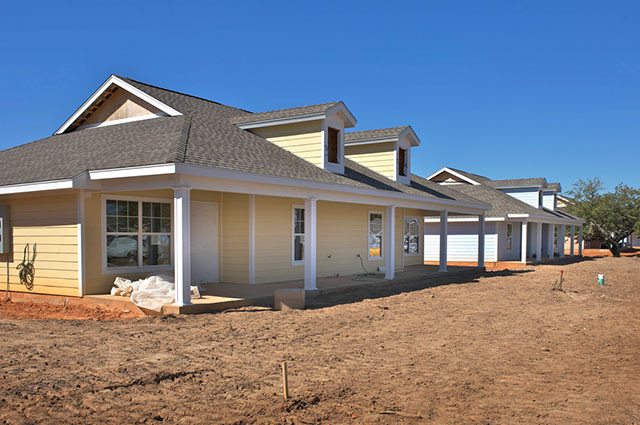 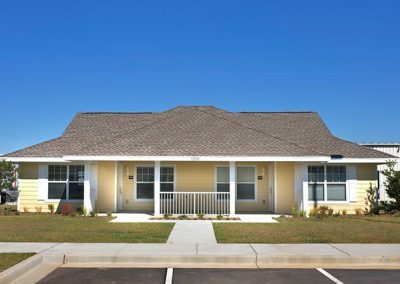 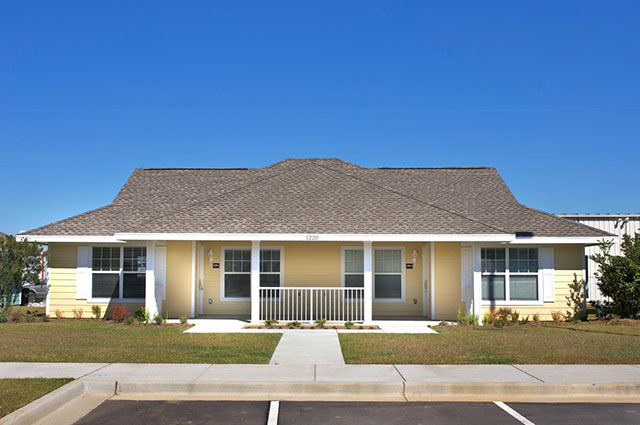 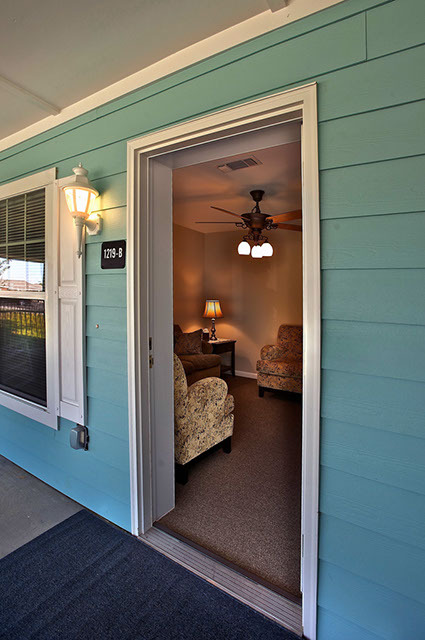 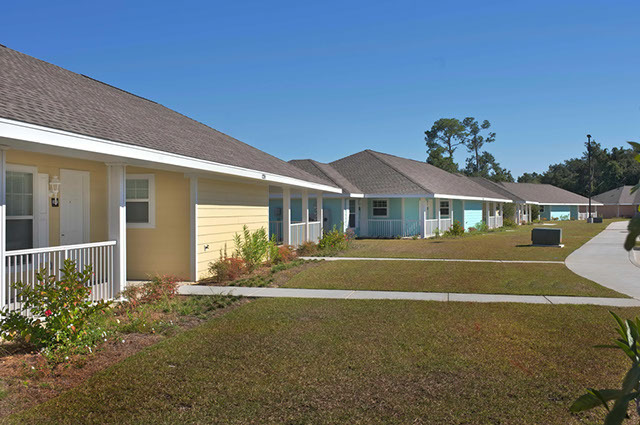 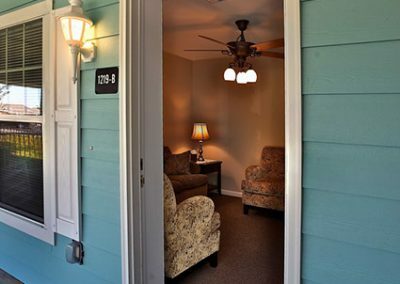 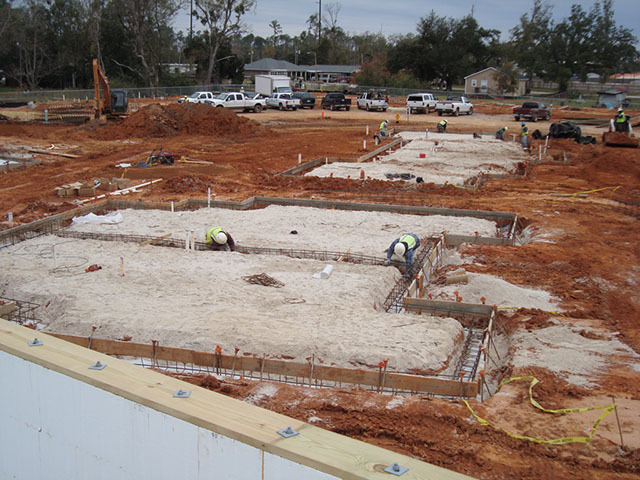 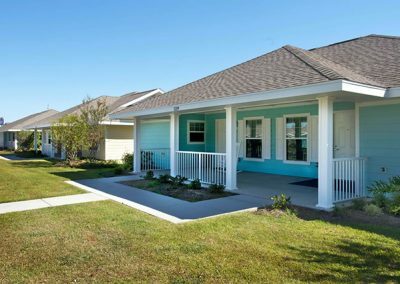 It consists of 80 homes—all ICF—designed to withstand a Category 5 storm, while remaining faithful to Gulf Coast architectural traditions. maps that required bringing in more than 100,000 cubic yards of dirt to raise the building site. 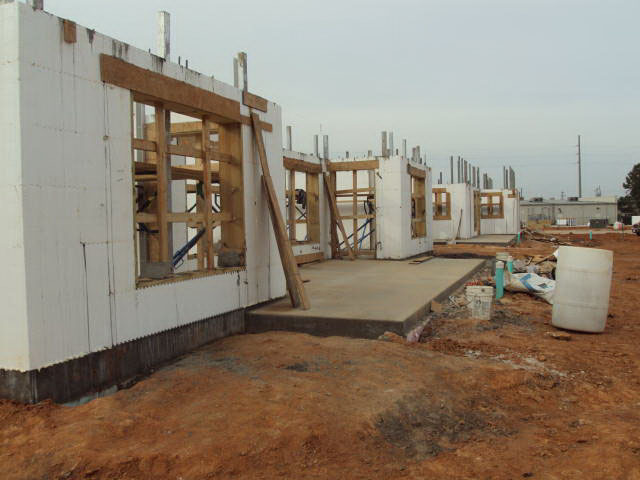 But most of the complexity stemmed from the sheer number of units under construction at the same time. 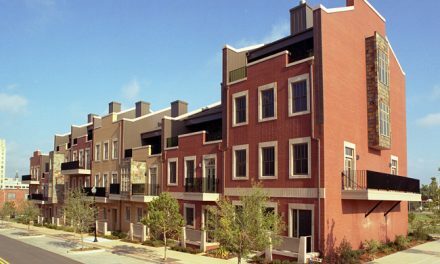 W.G. 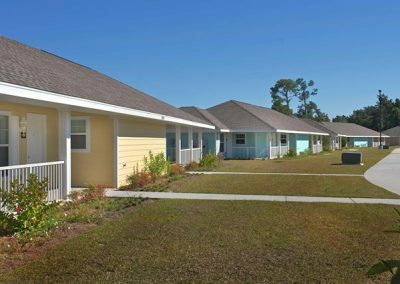 Yates, the general contractor, developed an assembly-line system, so six to eight homes were constantly under construction. 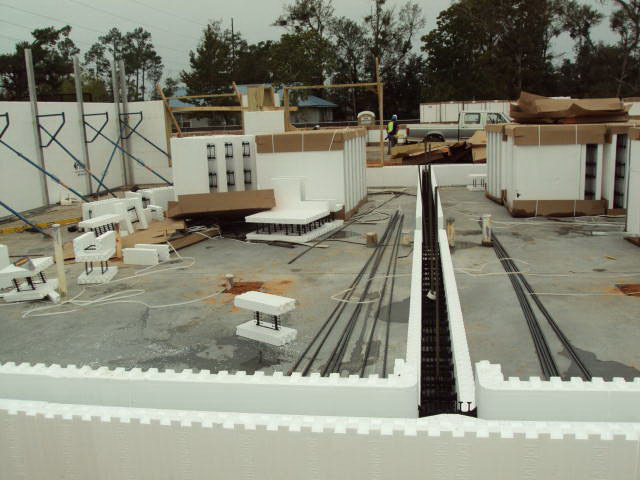 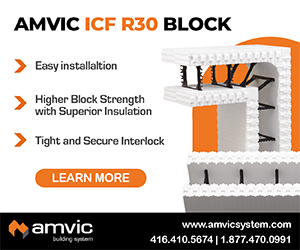 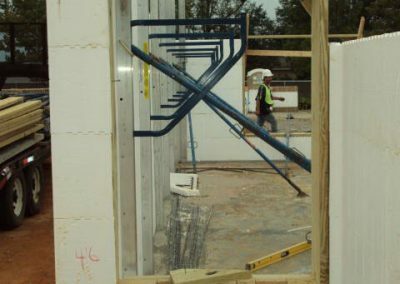 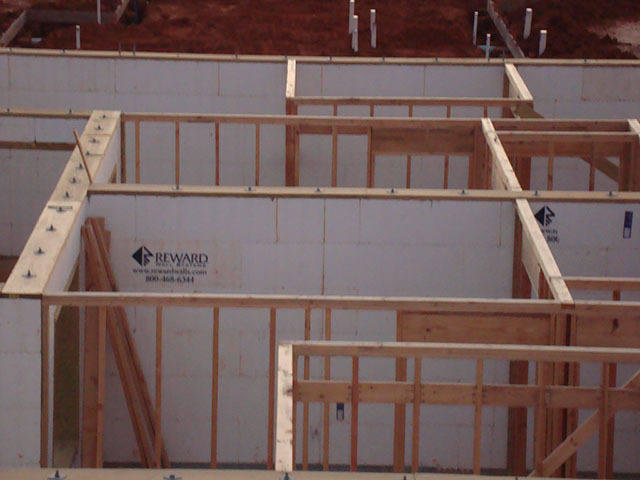 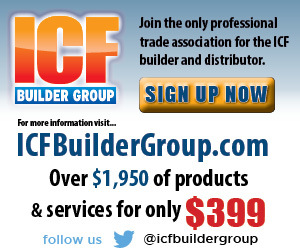 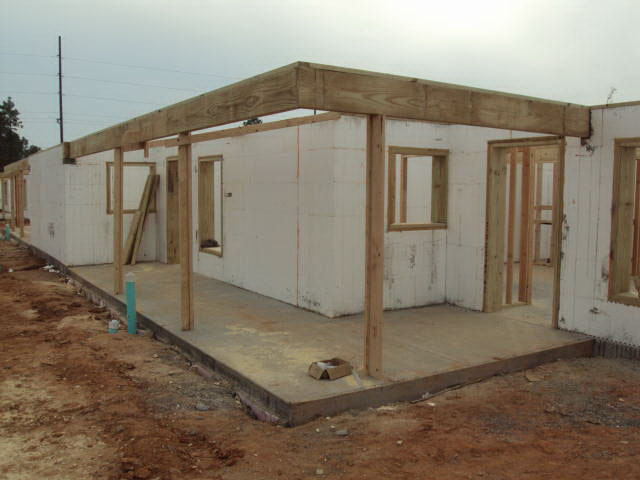 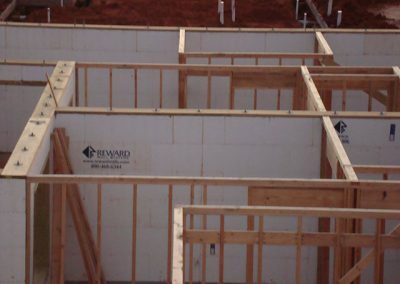 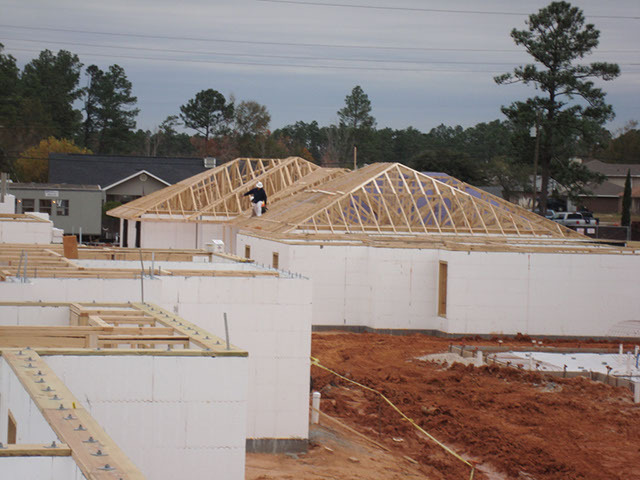 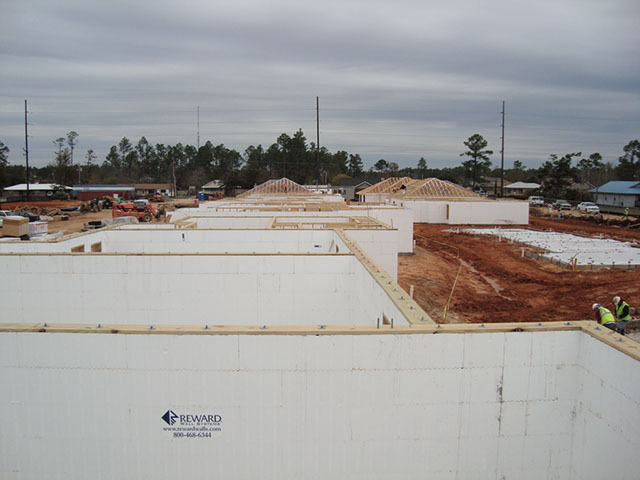 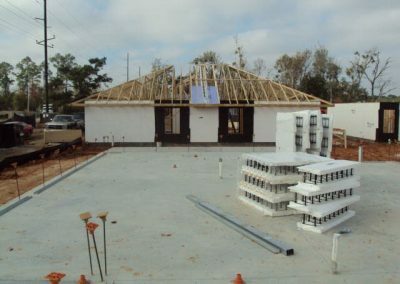 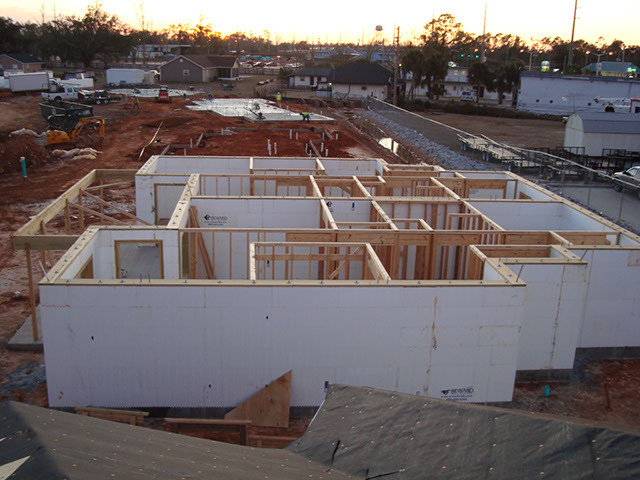 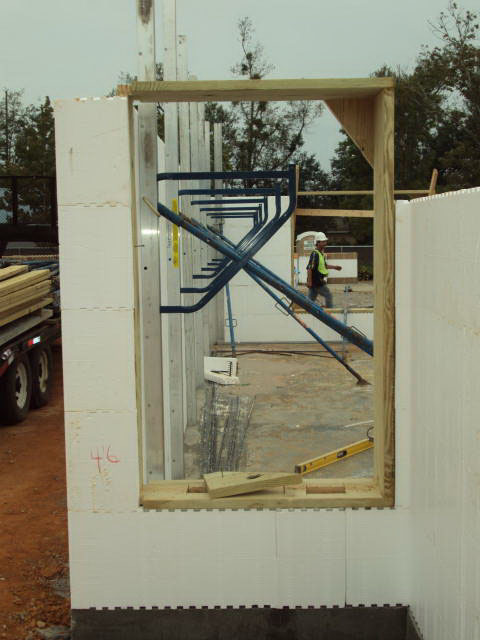 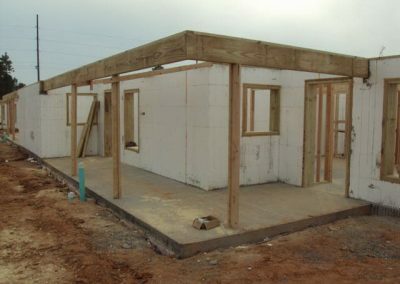 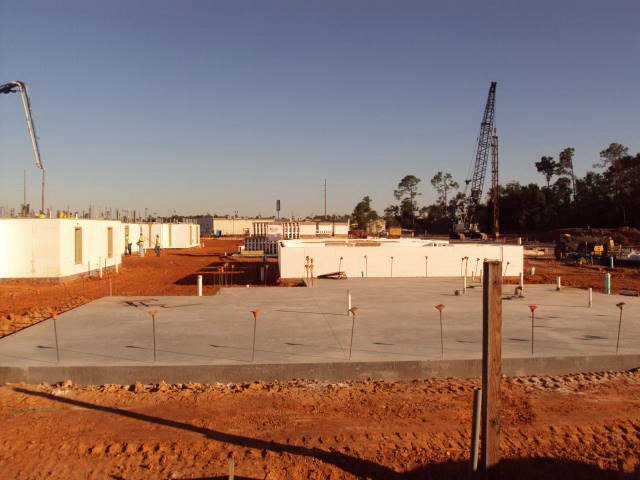 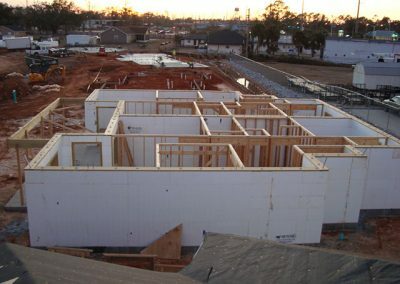 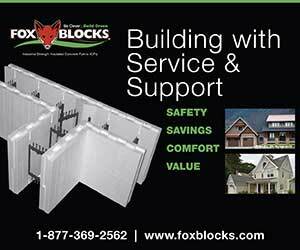 It created a high-consequence learning curve for Millennium Walls, the ICF installer. 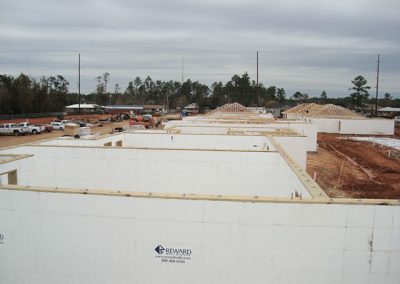 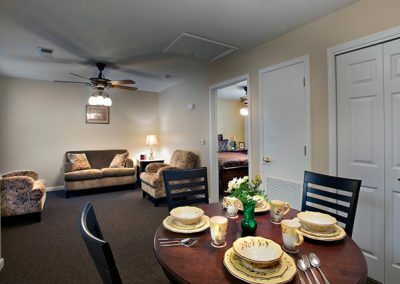 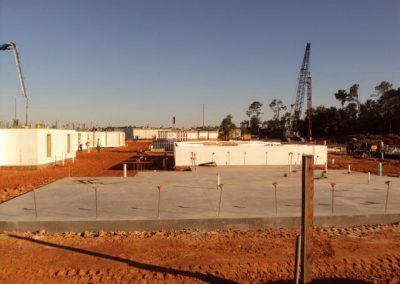 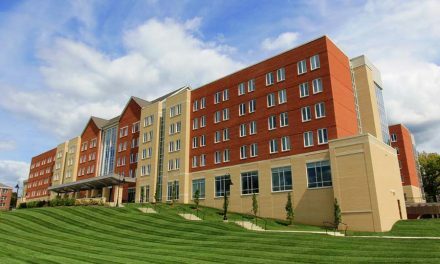 Although the company was highly skilled in ICF construction, they were raw to the massive scheduling effort Yates required. Dannie Richardson, who headed the installation crew, reports that it rained “damn near every day,” but they stayed on schedule and prevented the whole system from being thrown off. Joel Moody, from Yates, points out that the assembly line system allowed crew sizes to stay consistent, and construction was essentially standardized for all 80 units. 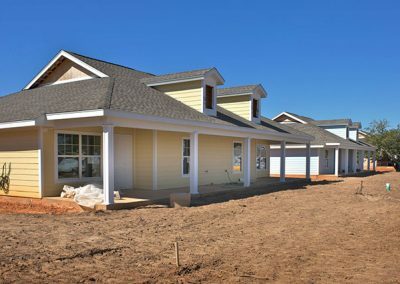 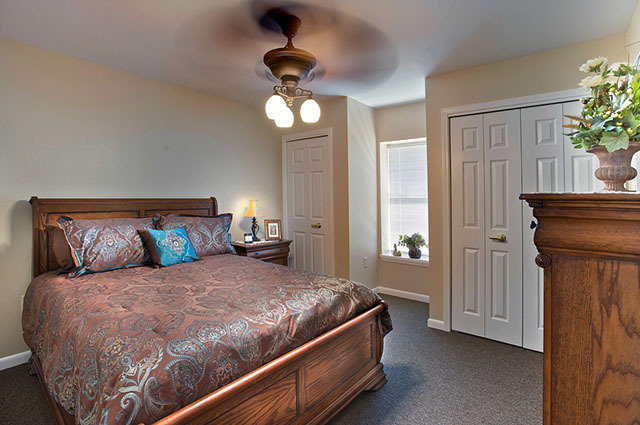 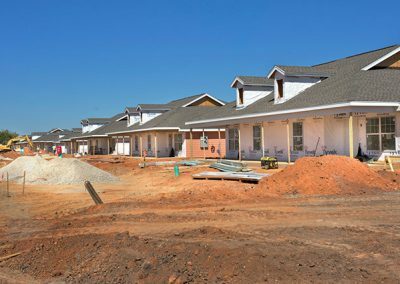 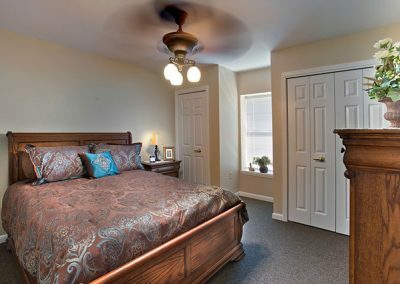 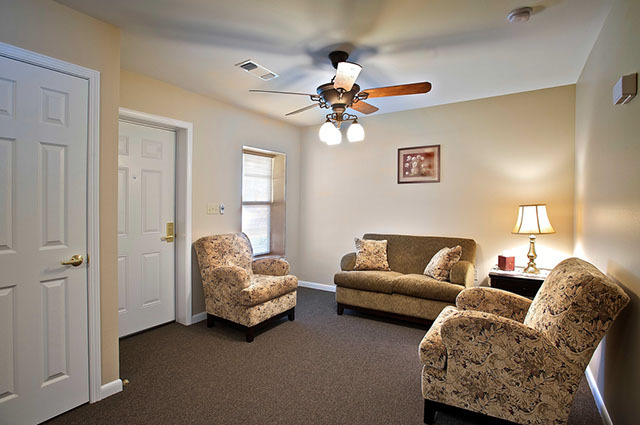 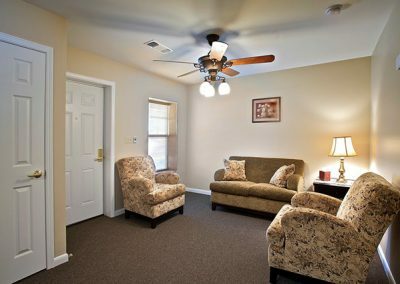 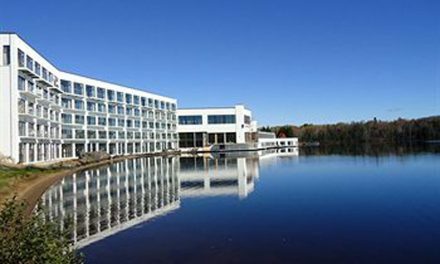 Understandably, local media followed the project closely, and Oak Haven’s successful completion has shed positive light on the entire industry. 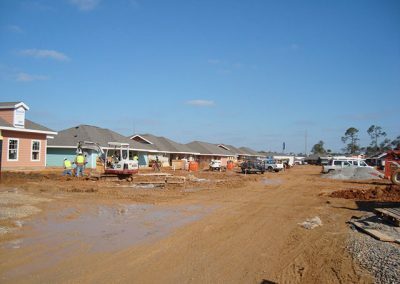 Community leaders hosted a ribbon cutting ceremony for the media in August 2010. 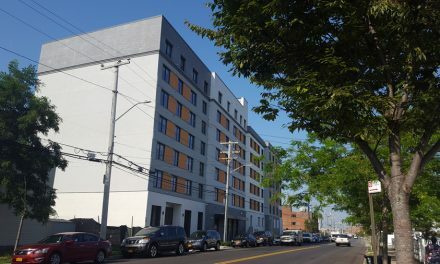 Within a month, 41 units were occupied. The project was such a success that developers are already planning a 100-home neighborhood just a mile down the road.